Vancouver Social Games and Full Indie have gotten together along with Frank the Accountant to present an evening designed to offer accounting tips, suggestions and how-to hints to game developers and business owners. For the very nominal fee of $10.00, interested parties are invited to this evening event on July 18th. At this writing, there were only 9 tickets remaining, so register quickly. The location for the seminar is yet to be decided, but bring along your portable computing device for this workshop-styled session where you will get both visual and hands-on assistance as you try to navigate the world of business accounting. Shaw Communications Inc. has completed its acquisition of the cable system assets of Sun Country Cablevision Ltd. and its affiliated companies Armstrong Cablecom Ltd. and Enderby Cablecom Ltd. The Sun Country Cablesystems are located in the central interior region of British Columbia. “Sun Country has built an excellent system which represents a terrific addition to our existing cable properties and we are excited to expand our presence in the Interior of British Columbia” said Peter Bissonnette, President of Shaw. The world’s most popular dance game, Just Dance®, will launch its third title, Just Dance 3, worldwide on October 11. Developed by Ubisoft® Paris and Ubisoft Montreal, Just Dance 3 will mark the game’s debut on Kinect™ for Xbox 360® and the PlayStation® Move for PlayStation®3. The new title will also be available on the latest Wii™. In addition to the game’s exciting 40-track song list, Just Dance 3 introduces exclusive new game features such as four-player choreographies, a DJ feature that allows custom mixing, freestyle dance options, a new “Shout Out!” feature on Kinect where players can score extra points by belting out their favorite songs – and much, much more! The Just Dance 2 concert sponsorship includes a contest where fans can win a once-in-a-lifetime chance to meet Miss Perry. The ‘Just Dance Your Way to Katy Perry’ contest challenges fans to record themselves and their friends dancing to Katy’s ‘Firework’ on Just Dance 2® in an effort to win VIP tickets and meet-and-greet passes to Katy’s U.S. and Canadian shows. “I’m a fan of Just Dance 2®, and I’m glad it brings people together to dance, just like I get to do on my tour,” says chart-topping Katy Perry. The Canadian leg of the California Dreams Tour begins in Toronto on June 29th and ends in Vancouver on July 19th. To round out the pre-launch excitement, a Canadian Facebook contest will be unveiled in late July, where one lucky winner and a guest will be flown to Toronto for a VIP experience complete with accommodations at a hip hotel, a shopping spree, dinner at a trendy restaurant and tickets to a top concert. 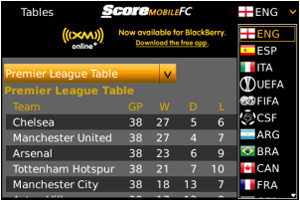 Score Media Inc. has launched a Spanish edition of ScoreMobile® FC . The makers of ScoreMobile, a top 5 free sports app worldwide on Android™, BlackBerry® and Windows® Phone, are proud to now offer detailed coverage for Spanish-speaking soccer fans just in time for Copa America, Latin America’s most important soccer event. Ottawa’s Elliptic Technologies has partnered with Amos Technologies, an Israeli representative company for best-in-class IP and EDA vendors, to bring Elliptic’s portfolio of security solutions to the Israeli market. Amos is an established independent representation company in Israel. Semiconductor and embedded system designers value Amos as an independent and reliable source for best quality IP from around the world. Amos offers complete, proven and high quality IP by providing a range of services from its elite Partners. The new Amos/Elliptic partnership adds more than 60 proven IP cores and security middleware to Amos’ technology base. Elliptic is widely recognized as a top security IP supplier that provides highly tuned, customer specific security solutions built on a combination of software and semiconductor hardware engines. Elliptic offers the industry’s broadest portfolio of security engines ranging from random number generators, a wide variety of cryptographic cores such as AES, Snow 3G, Kasumi, ZUC and SHA, RSA and ECC public key accelerators, to protocol processors for IPsec, TLS/SSL/DTLS and MACsec. Software solutions include embedded cryptographic middleware, embedded systems firmware, hardware device drivers and software APIs for security applications. The company also has a comprehensive portfolio of Platform Security solutions such as Secure Boot and Virtual Security Modules. Elliptic’s products are featured in LTE-Advanced and WiFi wireless security applications, digital rights management and conditional access, storage and military/government applications such as Suite B. They are perfectly suited to the requirements of Israeli companies and Elliptic has successfully licensed cores to several established and startup customers in Israel. Karta Mobile has announced the release of version 1.2 of its leading personal productivity solution for BlackBerry® smartphones and Microsoft® Outlook®. The latest version of the Viira Outlook Suite™ brings faster synchronization as well as numerous new features and productivity enhancements to both the Outlook plugin and BlackBerry client part of the suite. The Karta Mobile development team has brought all new features from their leading BlackBerry GTD software app Viira™ 3 to the Viira Outlook Suite including enhanced touch-screen support, reminders, fast iterative search and the option to hide completed tasks, among many others. 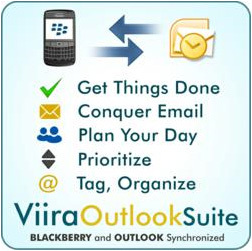 The Viira Outlook Suite is the first personal productivity solution to bring together the power of Microsoft Outlook and a BlackBerry smartphone in order to help users get organized and stay on top of their commitments from wherever they are. The suite is comprised of a BlackBerry client and an Outlook plugin who provide support for all key aspects of personal organization and the principles of Getting Things Done® (GTD®). The suite leverages the BlackBerry cloud infrastructure by propagating updates wirelessly over the BlackBerry Enterprise Server; synchronization can be performed via USB sync and with third-party task sync tools. The Viira Outlook Suite comes with a 14-day free trial and is supported on all modern BlackBerry devices with OS 4.6 or later as well as on Microsoft Outlook 2003, 2007 and 2010. Microsoft Outlook and BlackBerry smartphones are the productivity platforms of choice for many professionals, executives and knowledge workers around the globe who strive to achieve higher personal productivity and organization and incorporate the principles of Getting Things Done in their day-to-day lives. The Viira Outlook Suite provides a much-needed solution to many who until now have not been able to leverage the full power of a GTD Outlook system because of the lack of wireless synchronization with their BlackBerry smartphone. “Getting Things Done: The Art of Stress-Free Productivity” is a New York Times bestseller by David Allen (and one I recommend) that shows readers how to effectively organize information, tasks and communications in an effective and stress-free way. The principles of GTD have been embraced by busy professionals, executives and knowledge workers around the world. Cloud-based point of sale (POS) company ISISPOS recently received $2 million in funding from Canadian communications giant CaTech Systems. 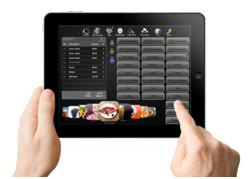 ISISPOS develops software that operates on iPad, iPhone, iPod touch, is a leader in the hospitality industry and is also backed by top technology companies Apple and Amazon. ISISPOS offers portable restaurant software using devices such as iPad and iPhone, creating innovative and efficient ways for restaurants to do business. Its iPad restaurant POS solution has made it possible for servers to take orders right at the table, transmit those orders directly to the kitchen, show customers a visual of what they’re ordering, or get instant pairing recommendations to increase sales. By using the iPad tablet and this point of sale solution, servers can accept credit card payments, split checks, void items, and reward repeat customers with coupons without walking to and from crowded computer stations. ISISPOS assembled a team of executives with over 50 years of combined experience in the POS industry. The team also has substantial restaurant experience in everything from waiting tables to management to owning and/or operating, therefore understanding the need for innovative software and a better guest experience. ISISPOS assigns as many as 13 programmers to development projects at once. With over 20 years of experience, CaTech Systems consists of a team of certified technicians, network specialists, wireless specialists, and certified project managers. The combined industry expertise of these two companies should prove successful for future software endeavors. ISISPOS is a global operation; its installations are also established in Europe, Asia, and Australia. With this application, restaurants in any location have the opportunity to go totally wireless. “We offer a truly anyplace, anywhere, anytime environment and eliminate the need for restaurant-based, back office computers,” says EVP of ISISPOS, Paul Perri. Vancouver’s web safety and security provider SparkTrust Systems has officially launched its flagship services, SparkTrust Certified and eTrue Reviews. Together, the two services provide website owners and online shoppers a new level of safety and security on the Internet. SparkTrust Certified defends online merchants against hackers, exploits, and malware attacks, while eTrue Reviews provides an outlet for verified customers to share their purchase experience. SparkTrust Certified, now in open beta testing, offers website owners top-tier security scans. The service provides webmasters with thorough scans to protect against malware and vulnerabilities as well as meet PCI regulatory commitments. Along with the scan comes SparkTrust Certified security specialists, who walk owners through the steps to keep their site protected. Website owners are encouraged to display the SparkTrust Certified badge, proving their commitment to safety and security. Focusing on the social aspect, eTrue Reviews is fully live for online shoppers and website owners. The social review tool allows online shoppers to share their experiences, and read recommendations from other customers. Setting it apart from similar services, eTrue Reviews verifies customers before they leave a review. Not only does this improve review rates, but it also ensures that reviews posted come from actual customers. Website owners can sign up for the SparkTrust Certified open beta now, and online shoppers and online businesses can start reviewing online with eTrue Reviews right now. With new environments, characters, weapons, incredible suits of armour, and plenty of bacon, The Baconing is a comical adventure like no other. The Baconing will be released on PC, Mac, and other platforms sometime this summer. Note to devs: make it early summer as opposed to late summer, please. Loud Crow Interactive Inc has released Sandra Boynton’s Blue Hat, Green Hat 1.0, the third title in their collaboration with Boynton Moo Media. Available now as a universal app on the iTunes Store for iPad, iPhone and iPod Touch (regularly $3.99 USD, it’s on sale for $1.99), Blue Hat, Green Hat is a wry and light-hearted adventure in which children guide three earnest animals and one misguided turkey through various activities involving clothing and colors. The app offers narration by famed British Invasion rocker Billy J Kramer, the wonderful narrator of the bestselling Boynton app, The Going to Bed Book. 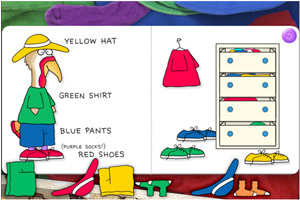 Originally published in 1982, Blue Hat, Green Hat is one of Boynton’s all time bestselling titles, having sold over four million copies. Working closely with Loud Crow, Boynton designed the interactive concepts, wrote and produced the soundtrack with Michael Ford, and digitally recreated the original illustrations with new animations to ensure this interactive re-imagination delights fans while keeping true to the spirit of her widely-loved board book. Loud Crow then carefully worked its widely-praised technical magic to fully realize and enhance her interactive concepts. Blue Hat, Green Hat is compatible with Phone, iPod touch and iPad devices running iOS 3.2 or later.